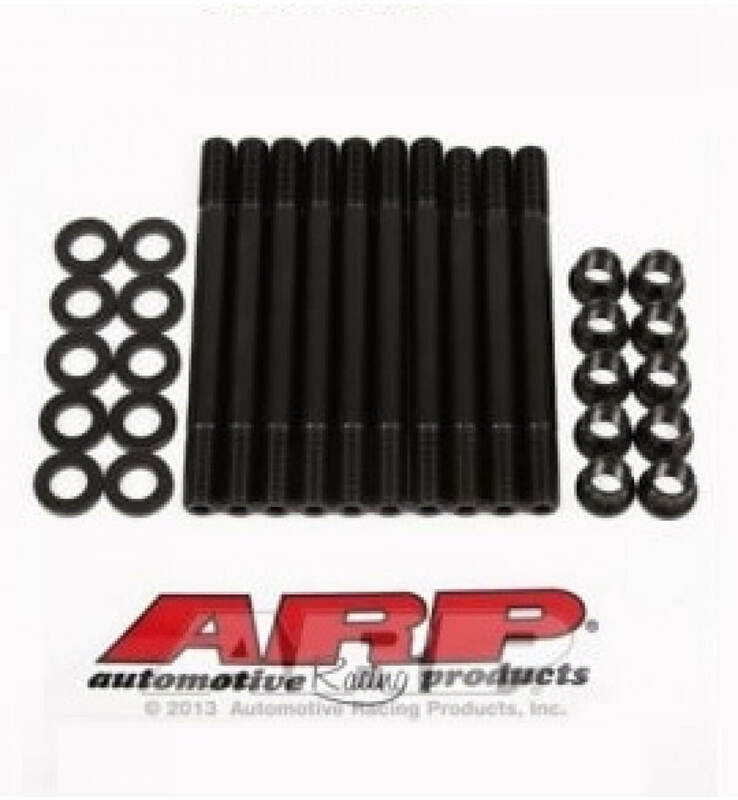 The below ARP kit is assembled on site by DSR using the same ARP part numbers from ARP 202-5403.DSR buys the parts from ARP individually and assemble it here on site, that way you the customer saves a lot of $$$. Cons; you don't get the ARP Blue box or the Lube. If you want the Official ARP part number buy part number 202-5403 instead. 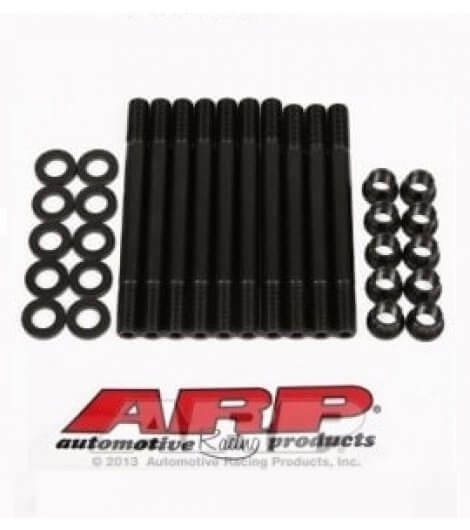 This ARP Kit we supply for the RB Engine will not come in a ARP box. 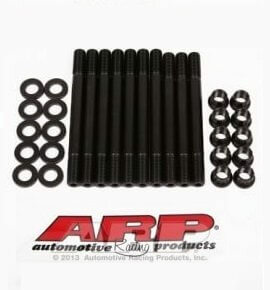 It will come with ARP 14 washers, ARP 14 nuts, ARP 11 studs & 3 Longer ARP Studs Only, It will not come with ARP Lube. The kit is assembled on site (Custom made) and shipped to the buyer. Torque settings are below. 1. To ensure proper thread engagement and accurate torque readings, clean ALL threads in the block. Chase the threads if necessary with ARP Thread Chaser, part number 912-0003 (M10 X 1.5). 3. Screw the studs into the block “HAND TIGHT ONLY”. Then install the washers and the nuts onto the studs and tighten them hand tight.